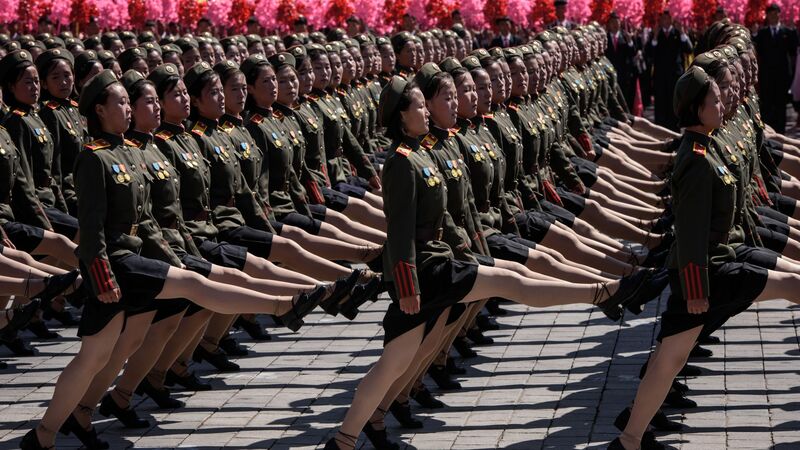 North Korea staged a huge military parade Sunday in commemoration of its 70th anniversary, but did not display the country's most advanced missiles as it had in the past, AP reports. The big picture: Amid stalled nuclear talks with the U.S., dictator Kim Jong-un appeared to use the annual parade to celebrate North Korea's economic development, rather than its nuclear capabilities. Kim and South Korean President Moon Jae-in are expected to meet later this month in Pyongyang to discuss "complete denuclearization."